Get Well Oreo? Cookies is rated 4.8 out of 5 by 53. It's no fun to be sick, and this gift is just what the doctor ordered to cheer someone up! 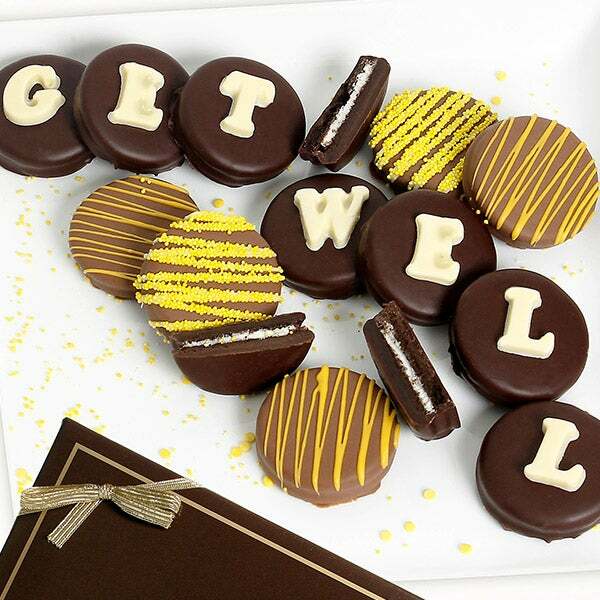 These 12 Oreo® cookies are first drenched in gourmet white, milk, and dark Belgian chocolates, then embellished with a sweet confectionary drizzle, cheerful sprinkles, and white chocolate lettering that spells out "GET WELL". Your recipient will be feeling better in no time!